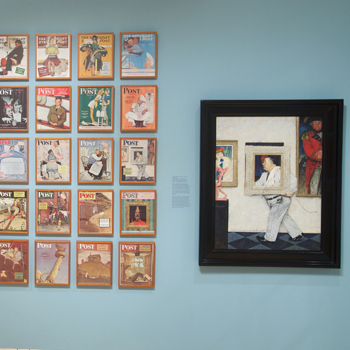 The Taubman Museum of Art is pleased to present a major exhibition exploring the legendary American illustrator and artist Norman Rockwell and his unparalleled role as an icon-maker and storyteller. 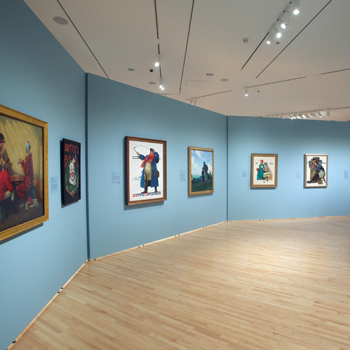 American Chronicles: The Art of Norman Rockwell has been organized by the Norman Rockwell Museum in Stockbridge, Massachusetts and features original works drawn from its permanent collection. Norman Rockwell (American,1894-1978) painted the best of America, creating indelible images of the lives, hopes, and dreams of Americans in the 20th century. 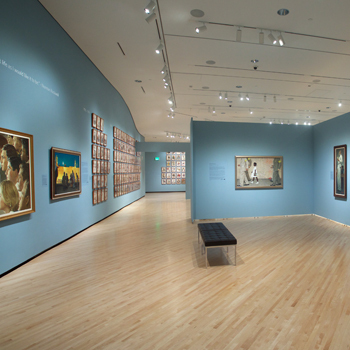 The exhibition includes such beloved and well-known images as Triple Self-Portrait (1960), Girl at Mirror (1954), Going and Coming (1947), and Art Critic (1955) as well as preliminary sketches, Saturday Evening Post covers, photographs, color studies, and detailed drawings. 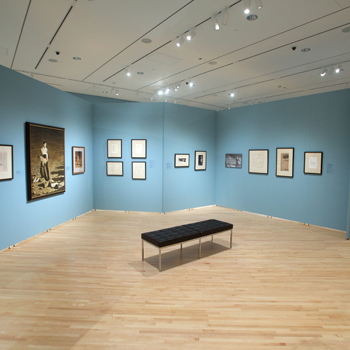 The rare exhibition chronicles Rockwell’s career during 65 years of painting and highlights his unique artistic legacy that profoundly influenced American perceptions and ideals. 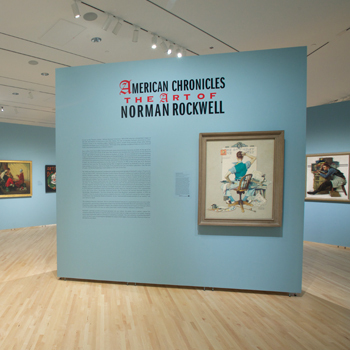 American Chronicles: The Art of Norman Rockwell will be the inaugural exhibition in the museum’s new Special Exhibition Gallery and will be on view from March 20 through June 12, 2016, with a member preview day on March 19. American Chronicles: The Art of Norman Rockwell on view at the Taubman Museum of Art is presented by Friendship Living, with additional generous support made possible by WDBJ-7; Kroger; Boxley Materials; Carilion Clinic; Kate and Drew Parker; the Virginia Commission for the Arts; the National Endowment for the Arts; the Henry Luce Foundation; Curtis Licensing, a division of The Saturday Evening Post; Norman Rockwell Family Agency; and the Stockman Family Foundation.